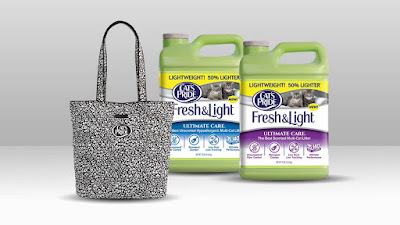 Oil-Dri Corporation of America , a leading manufacturer of quality cat litter and the inventor of lightweight litter, announces the launch of the new Cat’s Pride® Fresh & Light Ultimate Care®, a revolutionary litter that delivers the ultimate performance including 10 day odor control, the strongest clumps and low tracking. 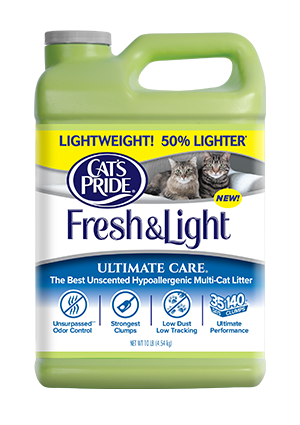 Cat’s Pride Fresh & Light Ultimate Care is the best lightweight litter and is 50 percent lighter than traditional scoopable litters. As part of the launch, Cat’s Pride® is partnering with award-winning actress Katherine Heigl, best known for her roles in “Grey’s Anatomy”, “27 Dresses” and “Knocked Up”, as the face and voice of their integrated marketing campaign. The campaign includes TV, print, digital and radio advertising. 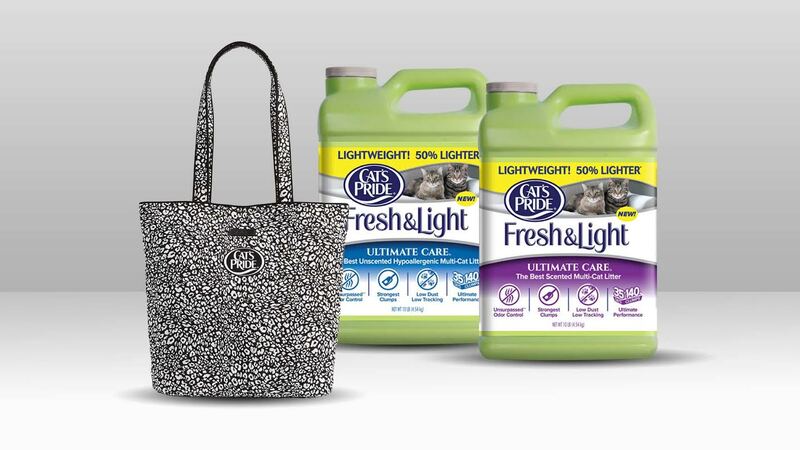 In addition, Cat’s Pride is proud to support the Jason Debus Heigl Foundation™, by donating a portion of every Fresh & Light Ultimate Care purchase to support the Foundation’s animal advocacy work. 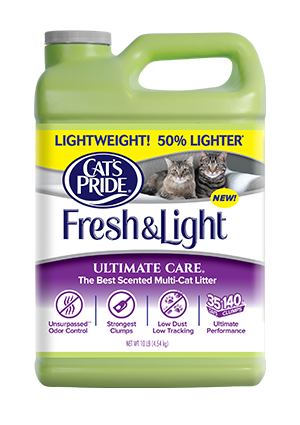 Cat’s Pride started the lightweight litter trend and continues to innovate with its new product, Cat’s Pride Fresh & Light Ultimate Care lightweight litter. The product is 50% lighter and is formulated with highly absorbent minerals and no fillers, guaranteeing 10 days of odor control, the strongest clumps and low dust and tracking. Cat’s Pride Fresh & Light Ultimate Care offers the ultimate performance at a great value. The product is offered in a 10 pound jug, in both scented and unscented hypoallergenic varieties. "Cats are Complicated. Great Litter is Simple.” Campaign: The new Cat’s Pride integrated marketing campaign featuring Heigl is the brand’s largest media launch ever. This concept features Katherine Heigl as a recurring character—a cat/owner couples therapist—who helps owners have a more meaningful and positive relationship with their cats. 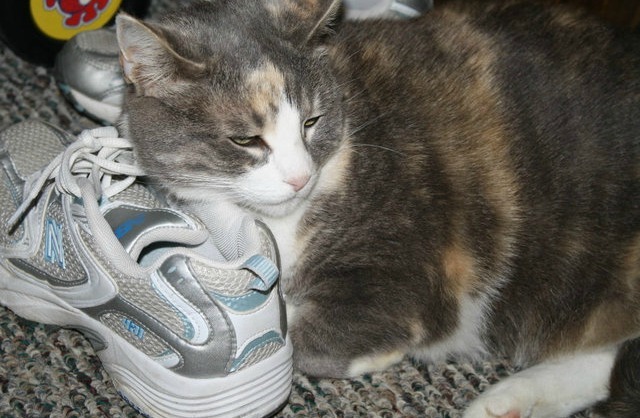 She continually reinforces how using the best-performing Fresh & Light Ultimate Care can reduce tensions all around and create healthier interactions between cats and their people. The campaign features the actress in humorous commercials directed by Anne Fletcher, known for films such as “27 Dresses” and “The Proposal”. The integrated campaign continues across all digital, social media, in-store and print platforms. The Jason Debus Heigl Foundation Partnership: The Jason Debus Heigl Foundation (JDHF) was founded in 2008 by Nancy and Katherine Heigl to increase awareness of inhumane animal treatment and support animal welfare efforts in this country. Established as a lasting legacy to a beloved son and brother killed as a teen in a tragic car accident, the JDHF is dedicated to helping companion animals by eliminating the needless suffering inflicted on animals by human cruelty, indifference and ignorance. Programs include the relocation of pets from high-kill to no-kill shelters for adoption, funding of sterilization for cats and dogs, medical and training assistance for special needs dogs, grants to hardworking “boots on the ground” rescues, and working with animal welfare groups nationwide to increase awareness of spay/neuter, humane education and adoption. June is Adopt-a-Shelter-Cat Month and as a proud supporter of animal advocacy, Cat’s Pride can also share information about adopting a cat and how to care for one, as well as cat care tips. It is estimated that 10 to 70 million stray dogs and cats live on the streets and 5.4 million dogs and cats end up in animal shelters in the U.S. annually. All our pets (past and present) have been rescue pets or shelter pets, I love that Cat's Pride is teaming up with the Jason Debus Heigl Foundation to help bring awareness to the pet population crisis. and the inhumane treatment of animals. Their combined support will hopefully help save a great number of shelter animals. Katherine Marie Heigl is an Emmy Award winner, a two time Golden Globe nominated actress, and producer, best known for her starring roles in the feature films "The Ugly Truth", "27 Dresses" and "Knocked Up", as well as her portrayal of Dr. Isobel 'Izzie' Stevens in the television medical drama "Grey's Anatomy". Heigl will next be seen in the upcoming Warner Bros. feature “To Have and To Hold” starring opposite Rosario Dawson and directed by Denise DiNovi. In addition to her work in front of the camera, Katherine partnered with her mother and manager Nancy Heigl to form the production company Abishag in 2007. In 2008, Katherine co-founded the Jason Debus Heigl Foundation, an organization dedicated to ending animal cruelty and abuse and promoting animal welfare. Heigl is married to singer-songwriter Josh Kelley and the couple has two daughters Nancy Leigh Mi-Eun and Adalaide Marie Hope. Heigl lives in Utah, where she resides with her family, nine dogs and four cats. The Jason Debus Heigl Foundation’s mission is to eliminate the needless suffering inflicted on animals by human cruelty, indifference and ignorance. The Heigl family was inspired by Jason’s compassion for animals and is committed to keeping his love and memory alive through acts of generosity and kindness toward animals through the Foundation’s work. The Jason Debus Heigl Foundation has helped improve the lives of over 25,000 animals since its inception. For more information, please visit http://jasonheigl.foundation/. Oil-Dri Corporation of America, a leading supplier of specialty sorbent products for agricultural, horticultural, fluids purification, specialty markets, industrial and automotive, is celebrating 75 years of sorbent mineral expertise. Oil-Dri is a leading manufacturer of cat litter. “Cat’s Pride” “Fresh & Light Ultimate Care” and “Changing Litter for Good” are registered trademarks of Oil-Dri Corporation of America. From research and development at our Innovation Center outside of Chicago to our manufacturing plants in Georgia, Mississippi, Illinois and California, our Cat’s Pride products are proudly made in the USA. For more information, visit www.oildri.com or www.catspride.com.